When one of your favourite London bakeries publishes a book, you get it. The secret recipe of my favourite brownies in Town and of course the Curly Wurly cake that stole the show on Eurovision this weekend are now mine! 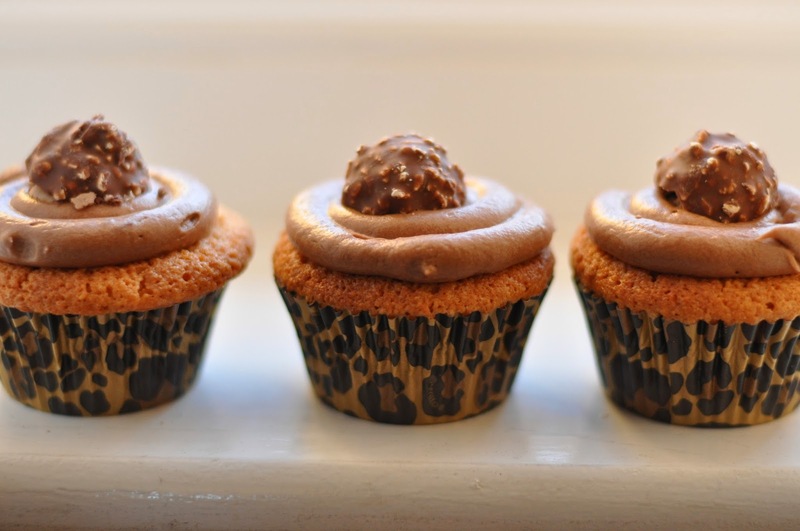 In a conscious bid to add more wheat-free recipes to my blog I chose to try out this hazelnut cupcake recipe. Completely and utterly worth it. This is by far the most moist cupcake you'll ever find and I'm enjoying the left over buttercream for breakfast, its that good. 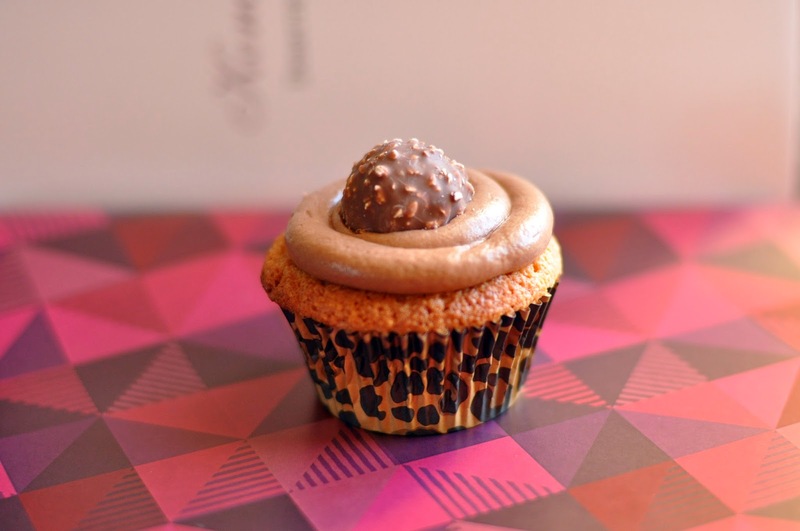 This recipes puts other 'free-from' recipes to shame, the use of ground hazelnuts gives a really moist and nutty cupcake. Feel free to substitute for other variations like almonds, and use the cupcakes as your go-to recipe. Heat the oven to 180 degrees, spread the hazelnuts out on a lined baking tray and toast in the oven for 5-7 minutes, until light brown. Leave to cool, then mix with the almonds and baking powder. Reduce the oven temperature to 165 degrees. Line a muffin tin with 10 cupcake cases (for a more even bake, leave the two central holes clear). Cream together the butter and sugar together for 2-3 minutes, until light and fluffy. Gradually beat in eggs, alternating them with a couple of tablespoons of the ground nuts and scraping down the side of the bowl regularly. Once all the egg has been added, fold in the rest of the nuts. Divide the mixture between the cupcake cases and bake for about 25 minutes, until a skewer inserted into the centre comes out clean. These cupcakes do not rise as much as wheat-based ones. Remove from the oven and leave to cool completely. Beat the butter, Nutella and cream cheese together till smooth with an electric mixer. Reduce the speed, sift in the icing sugar and beat for a further minute or two, until light and fluffy. Using a piping bag with a 5cm nozzle, pipe a mound of buttercream onto each cupcake and top with hazelnuts, chocolate sprinkles or any other topping of your choice. I used Ferrero Rochers. 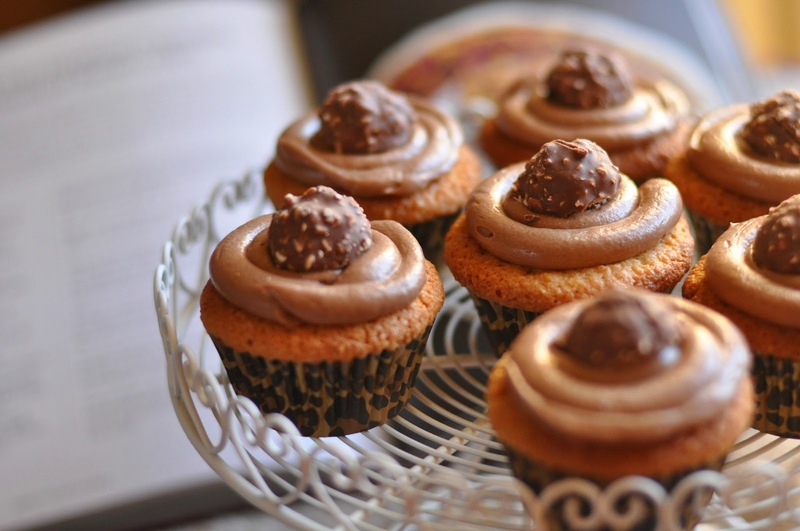 Delicious but ferero Rocher aren’t gluten free! !